I really must apologise for this dreadful picture, I will do another when I have the chance but I took this quickly with my phone this morning before driving down to my son's to wait for the delivery of a couple of chairs for him and his wife. Being doctors their time is rather precious, so I'm happy to do this for them! It's a water-coloured flower which I had stamped with Antique Linen DI and then coloured with other distress inks. It's over-stamped with Gorgeous Grunge splats in a couple of shades. 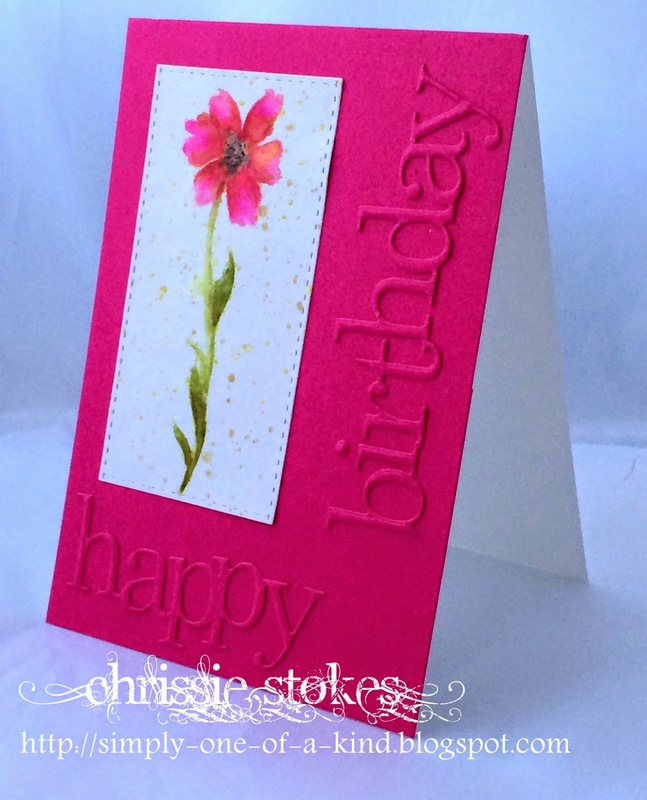 The sentiment is die-cut using the same card as the base with a Poppy Stamps die. 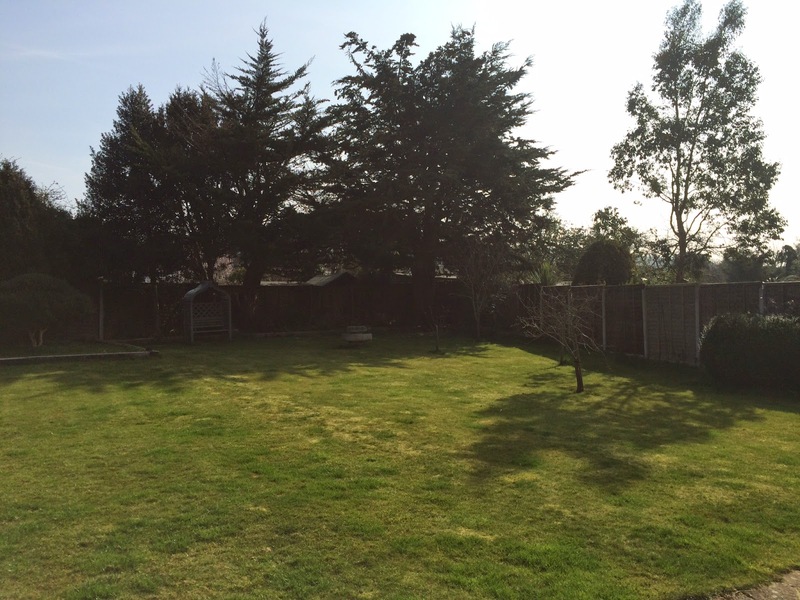 You may wonder why this post has the heading lovely sunshine... in fact I'm looking out at my son's garden which is bathed in beautiful sunshine at the moment even though it is a little chilly! Stunning card Chrissie. It has a big wow factor because of that lovely bright pink! So glad you joined us at Seize the birthday! Wow, Chrissie, this is gorgeous! I love your watercolored flower and that pink is beautiful. The die cut sentiment really stands out. Love it! Oooh definitely my kinda card Chrissie, that pink is HOT ha ha. Love the flower too and the splats are a great touch. Love the use of the tone on tone die cuts to keep the CAS feel! Gorgeous in this bold colour! 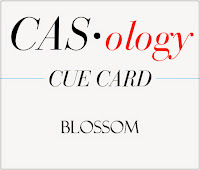 So glad you joined us at CASOlogy this week, Chrissie! Beautifully colored flower, Chrissie. I love the die cut sentiment in the same color. So elegant! Super card! Love the way you did the sentiment too! Thanks for joining us over at Seize the Birthday...we sure do appreciate it! I'm loving the hot pink!!! The flower is beautiful and the die cut sentiment is fantastic! Thank you so much for popping by, I appreciate your comments! I am a retired infant school teacher, who is still not averse to a little cutting, sticking and colouring. I am a wife of 44 years standing, mum of two and granny of three! I was the co-creator of ”Less is More” the Clean and Simple challenge blog and design for Happy Little Stampers. Former designer roles include Craft Stamper magazine. My Time To Craft, Cuddly Buddly, the Creative Card Crew,Cooking it up with Katie and One Stop Cards and Crafts, plus numerous Guest Designer spots. Thanks so much for following, your comments are truly appreciated! Anyone interested in singing in the Portsmouth area, take a look! Happy Little Stampers July Challenge! 200th Challenge for "Less is More"